Loewe's Resort '19 collection has a nomadic feel to it - every piece is effortless and easy to wear, whether you're traveling or exploring your own city. 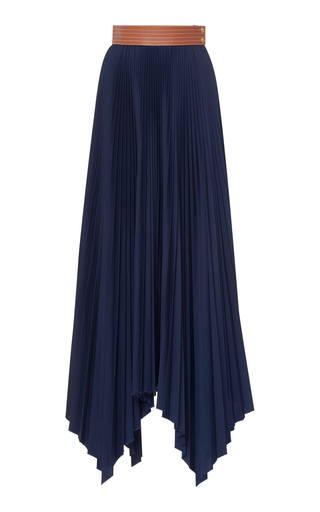 Part of the lineup, this skirt is made from pleated poplin and falls to a floaty asymmetric hem. Wear it with a tucked-in top to show off the tan leather waistband.